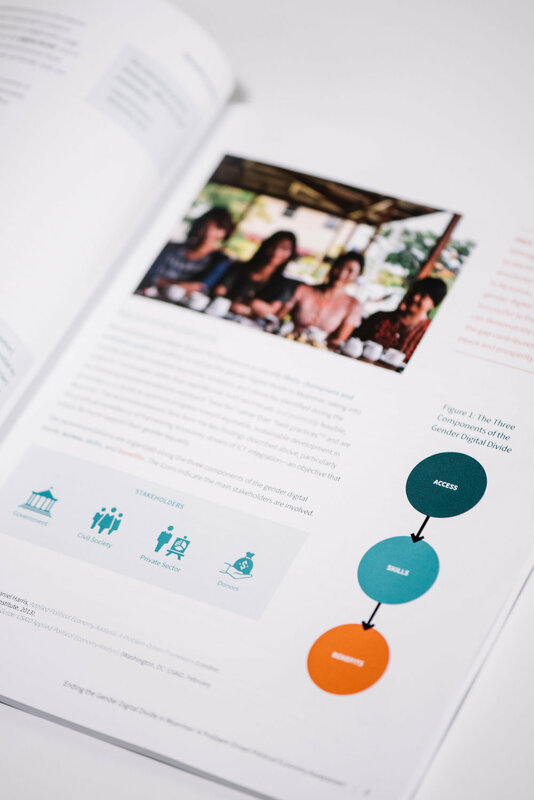 This long-form report featured custom iconography, graphics and illustrations to accompany photography from in the field. Type and colors are based on the organization's brand standards. 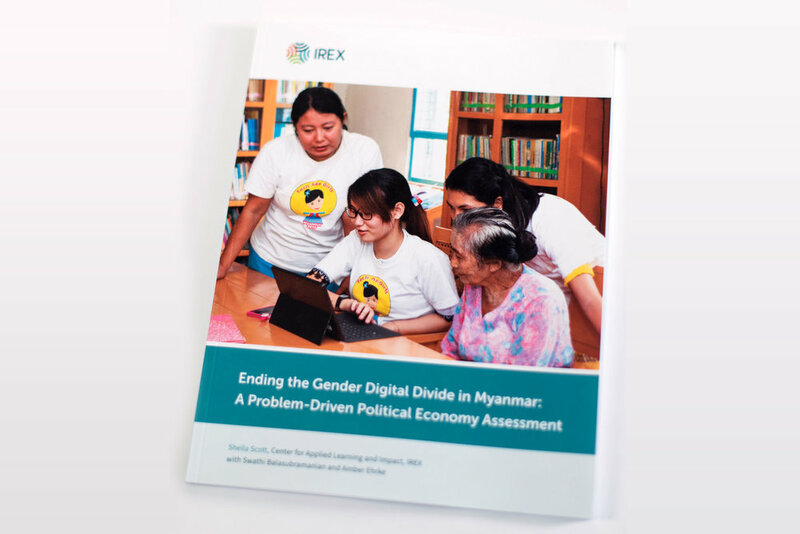 IREX conducted a first-of-its-kind political economy analysis of Myanmar’s gender digital divide. 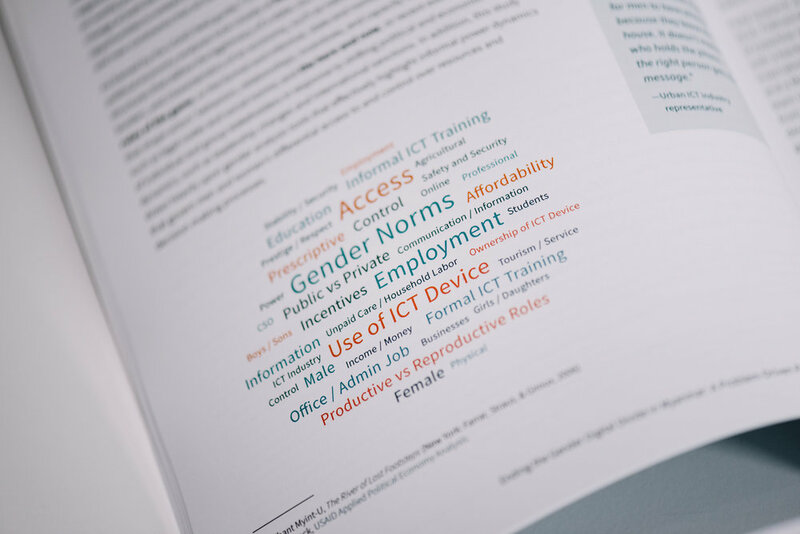 The assessment offers a nuanced view of who is excluded and how, with tailored, practical recommendations to narrow the divide. More information about this project via IREX.